The 8T125 Alpha* F10 medium-sized multisport scoreboard is specially designed for basketball because of its ability to manage individual fouls. This scoreboard is ideal for medium-sized halls due to its high-brightness LED display. 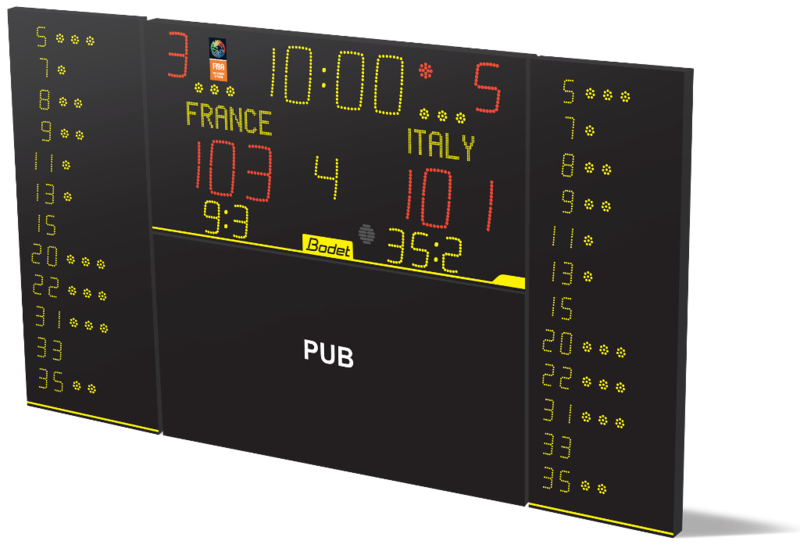 * This scoreboard is also available with the display of team names on stickers.